Home News trending! 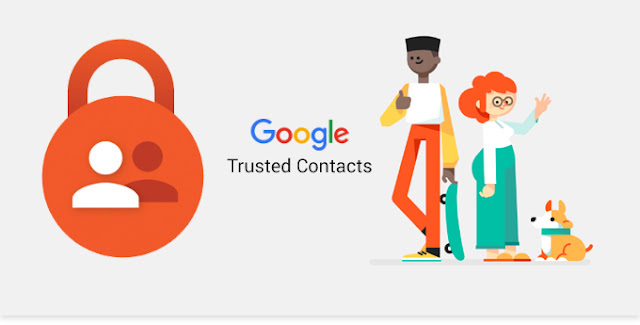 Technology Google launches Trusted Contacts app!!!!! Google launches Trusted Contacts app!!!!! Google has launched a personal safety app to give your near and dear ones peace of mind. Concerned contacts can request location data from users. Users can respond to the request and signal that they are safe to their contacts by denying the location data request. If there is no response, then the location is shared automatically, which can allow the contact to take measures appropriate to the situation. Even if the phone is offline, the last known location is shared with the contact. trusted-contacts-google The feature can be used, for example, if someone is late in a foreign city or out in the wilderness. A concerned friend or family member can request for the location. If there is no response, the police or other authorities dealing with search and rescue operations can be contacted, and informed of the last known location. On startup, users have to select trusted contacts from their list. The app indicates if the selected contacts have added you back on the application. The first time users select trusted contacts, the selected individuals will get an e-mail alert. Once the set up is done, contacts can request location information, if they feel something is wrong, or the user can pro-actively share their own locations, if they are in danger. Google+ has a feature already, which can be used for similar purposes. Users can share their locations with a select group of people or circles. The location sharing feature on Google+ has granular options, with the ability to share exact locations to some friends and family, while sharing only the city with colleagues or acquaintances. There is a feature that allows trusted contacts to virtually walk with you if you are feeling threatened. If a user finds themselves navigating a lonely stretch of road, users can request a trusted contact to watch over as they safely get home. The location is shared in real time with the trusted contact, and a banner on top can be tapped to end the virtual walk. The app is available in India on the Play Store, for free. Google has launched a personal safety app to give your near and dear ones peace of mind. Concerned contacts can request location data from users. Users can respond to the request and signal that they are safe to their contacts by denying the location data request. If there is no response, then the location is shared automatically, which can allow the contact to take measures appropriate to the situation. Even if the phone is offline, the last known location is shared with the contact. The feature can be used, for example, if someone is late in a foreign city or out in the wilderness. A concerned friend or family member can request for the location. If there is no response, the police or other authorities dealing with search and rescue operations can be contacted, and informed of the last known location. On startup, users have to select trusted contacts from their list. The app indicates if the selected contacts have added you back on the application. The first time users select trusted contacts, the selected individuals will get an e-mail alert. Once the set up is done, contacts can request location information, if they feel something is wrong, or the user can pro-actively share their own locations, if they are in danger. Google+ has a feature already, which can be used for similar purposes. Users can share their locations with a select group of people or circles. The location sharing feature on Google+ has granular options, with the ability to share exact locations to some friends and family, while sharing only the city with colleagues or acquaintances. There is a feature that allows trusted contacts to virtually walk with you if you are feeling threatened. If a user finds themselves navigating a lonely stretch of road, users can request a trusted contact to watch over as they safely get home. The location is shared in real time with the trusted contact, and a banner on top can be tapped to end the virtual walk. The app is available in India on the Play Store, for free.